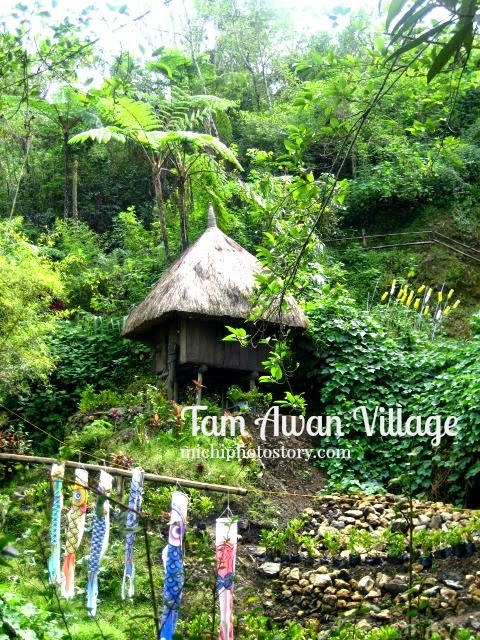 If you are going to Baguio, do not forget to include Tam-Awan Village in your itinerary, it is a place where you can have a glimpse of Cordillera village life and commune with nature. The village has seven Ifugao huts ( Anaba Hut, Bangaan Hut, Batad Hut, Dukligan Hut, Kinakin Hut, and Nagor Hut)and two Kalinga houses (Lukkong Hut and Bugnay Hut). 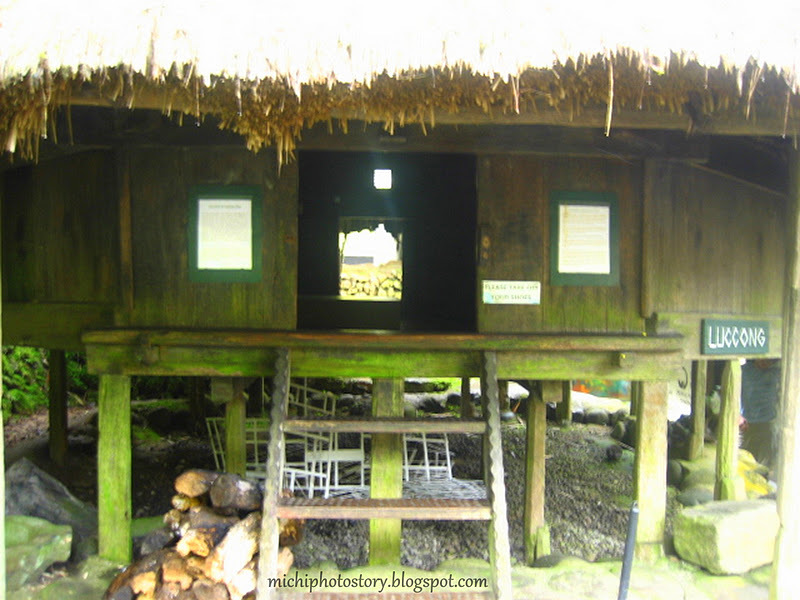 The Ifugao huts are very simple, it has no nails and hardware but it can lasts for many generations. We do not know how to get there we just ask for directions. There is no signage or guide so sometimes we feel that we’re lost but we just kept on asking for directions, so we’re happy when we reached Tam-Awan Village, we’re not lost. Teee-hee! 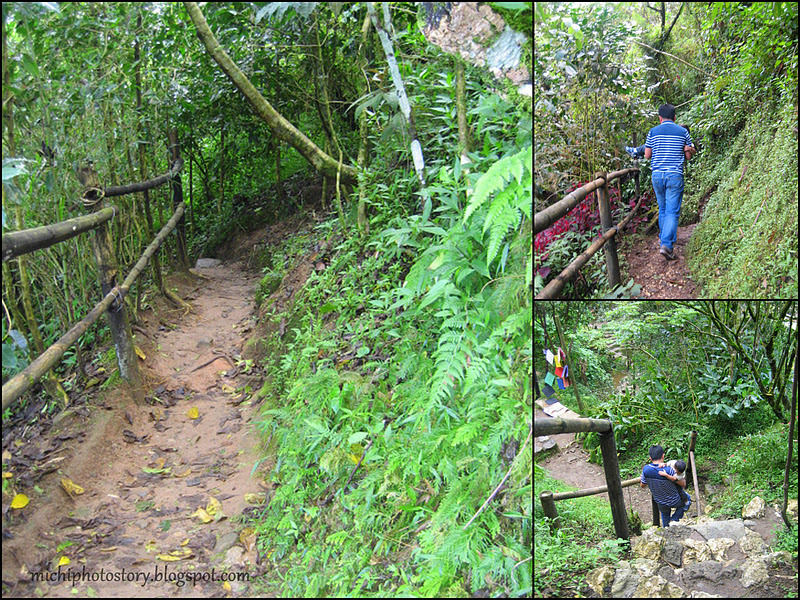 Going to each hut is not easy; you have to go up and down and pathway is narrow. 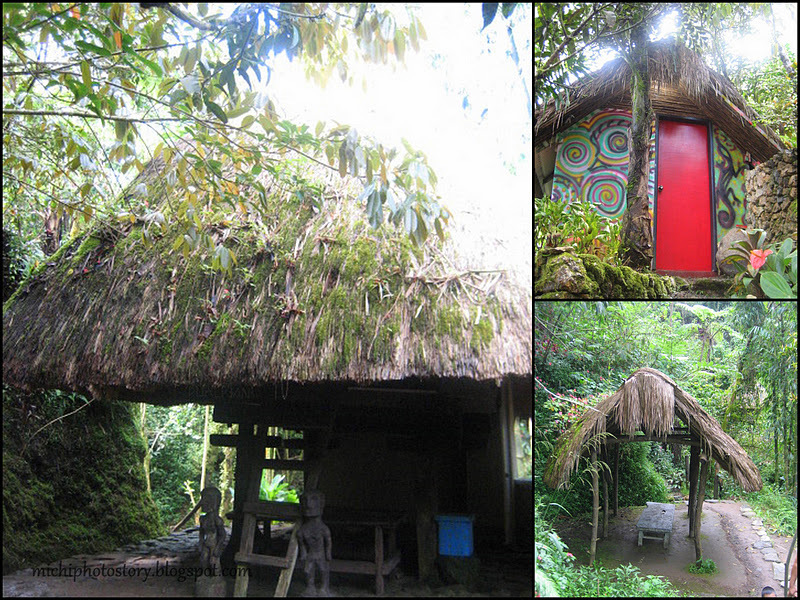 Tam-awan village has café, craft shop and art gallery. There are also artists who can do caricatures, minimum of P100 per head and minimum of P300 per couple. 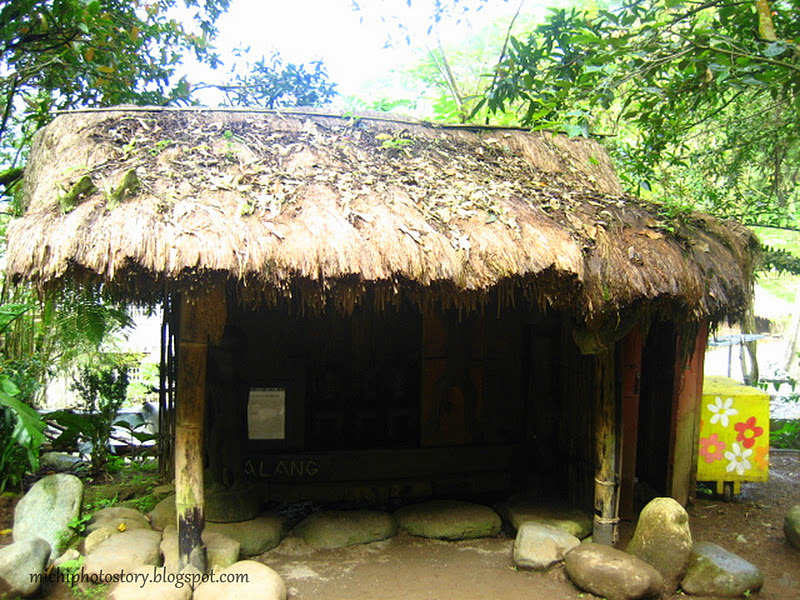 Tam-Awan village is also a venue for workshops and art exhibits. 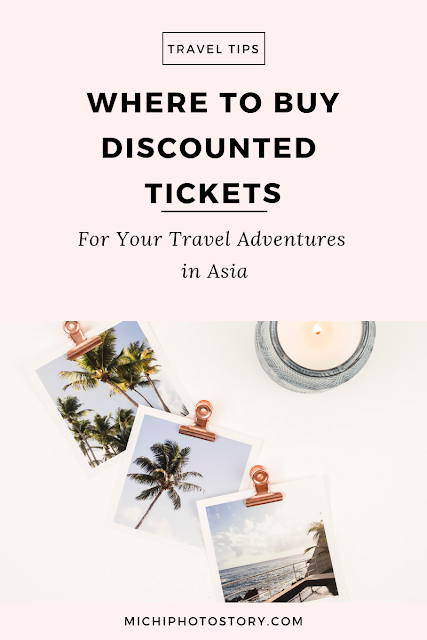 You can also stay in Anaba hut, Love Bug hut, Duklingan Hut, and Lukkong Hut for a minimal fee. I would love to try that on my next trip. Just in front of Tam-Awan village is the Arko ni Apo, where you can find wood works and metal works of Benhur and Boom Villanueva. I remember we went there in one of our Baguio escapades. Nice bonding moments and great pix. How I'd love to visit tam-awan and Baguio as a whole! Ganda! 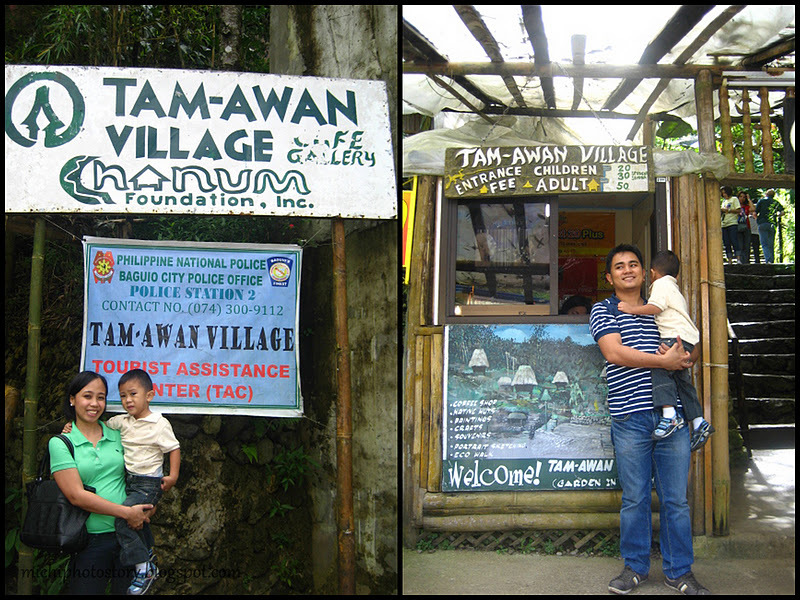 I have visited Baguio twice but have not visited Tam-Awan Village. I'll see if I can visit this spot on my third visit in Baguio. Waah! 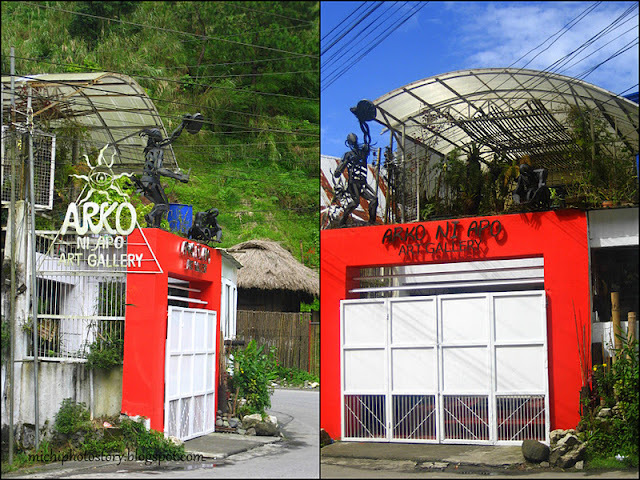 This is the place we failed to see on our last visit to Baguio. We only learned about it after na. Hopefully mapuntahan ko to on my next trip to Baguio. This is a must place to visit but not on a rainy days coz you'll end up not enjoying the palce walking at the middle of muddy ,winding ,up and down narrow road.sira ang beauty at poise ng mga girls. What I love about traveling is the thrill of searching for a place you don't know then have to ask people for directions. Most of my travels are not planned, I usually ask for directions. One time, I also had to look for the place by my own because there's no person to ask. Anyway, would love to see this village, I missed this in my recent trip although I am aware about it. are there also food corners here? hehe. wanna look for food here and feature kung merun. journey and travels - thanks. it's not lantern, sort of stuff that they have used in their exhibit, they forgot to remove it. sining factory - i've never experince penagbenga festival. 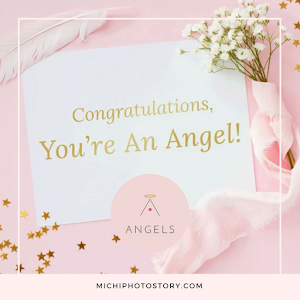 micheatandshops - not sure if they have postcards for sale. matsummoto, pinoy travel freak and jyppe - go and visit, it's a different experience. tatess - i agree, though it wasn't raining that day pero maputik dahil day before umulan. this is the first feature I've read of this place in Baguio. I'll have to try this next time, then maybe I can write a how to get there info. 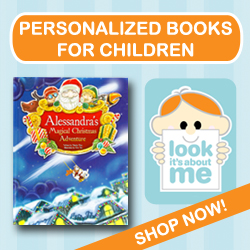 What to Wear this Christmas?